THIS RECENT SENSATION IS MUSIC DIRECTOR OF MANI RATNAM'S NEXT! 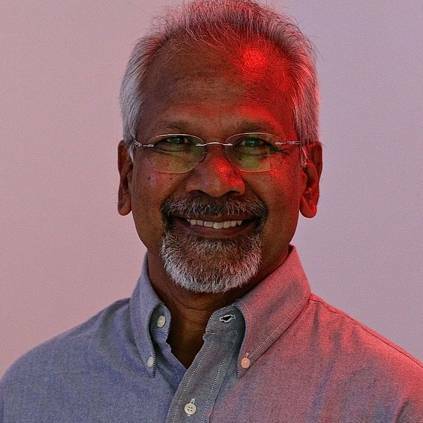 Mani Ratnam’s Madras Talkies has produced films like Iruvar, Nerukku Ner, Dil Se, Alaipayuthey, Raavanan, Kaatru Veliyidai and the recent hit ‘Chekka Chivantha Vaanam’. Now, it is producing it’s 19th film titled ‘Vaanam Kottattum’. Vikram Prabhu is playing the lead role in this film and this marks his first ever association with Mani Ratnam’s production house. Madonna Sebastian is playing the female lead in this film and Aishwarya Rajesh as Vikram Prabhu’s sister. Mani Ratnam is writing the story and dialogues along with his long time assistant Dhana, who is directing this film as well. He had already made his directorial debut with ‘Padai Veeran’. People looking for online information on Aishwarya Rajesh, Dhanasekar, Govind Vasantha, Madonna Sebastian, Mani Ratnam, Vaanam Kottattum, Vikram Prabhu will find this news story useful.